This plan depicts Britannic in her mail run livery as she might have appeared had she survived WWI. 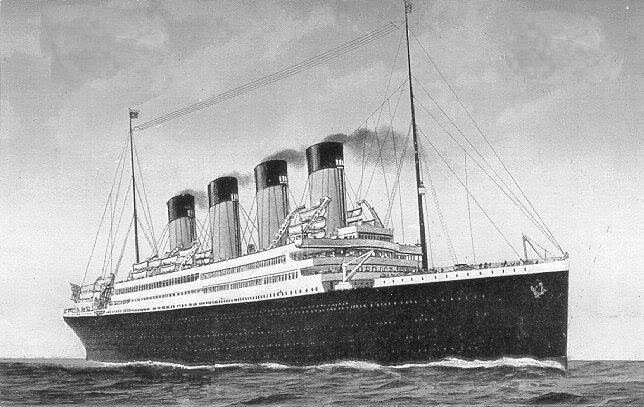 Specifications, plans and models were studied to reconstruct Britannic in her intended configuration. Since this version was never realized, some license was taken in making assumptions about which features from the hospital ship configuration would have survived the conversion to her merchant livery. This plan sheet is a drawing of the full starboard profile of the ship. Frame locations are indicated. Hydraulic riveting of the hull is shown in this drawing.